Corbin Martin does not have any MLB stats for the season. Draft: 2017, Houston Astros, 2nd rd. Received All-State and District MVP honors his junior and senior seasons at Cypress Ranch High School in Cypress, Texas...as a senior in 2014, went 8-0 with a 1.03 ERA, while hitting .397 with 11 home runs...Went on to attend Texas A&M, where he pitched with the Aggies for three years (2015-17)...primarily pitched as a reliever in his first two seasons before entering the rotation midway thru his junior year, in which he went 7-4 with a 3.80 ERA (37ER/87.2IP) in 24 games (13 starts)...fanned 94 in his 86.0 innings...Following his junior year, drafted by Houston in the second round of the June 2017 draft...signed by Astros scout Noel Gonzalez-Luna...Drafted just two seasons ago, Martin was one of four 2017 draftees in Major League Spring Training, joining RHP J.B. Bukauskas (1st round), RHP Brandon Bielak (11th) and IF Joshua Rojas (26th)..Is signed to a minor league contract for the 2019 season...invited to Major League Spring Training on Jan. 22, 2019. Had an All-Star campaign in what was his second professional season...combined to go 9-2 with a 2.51 ERA (34ER/122IP) in 25 games (21 starts) between Corpus Christi (21g) and Class A Buies Creek (4g)...began his season at Buies Creek, making four appearances before being promoted to Double A...shined with the Hooks, earning Midseason and Postseason Texas League All-Star honors...pitched 1.0 scoreless inning in the Texas League All-Star Game... made one postseason start, tossing 5.2 scoreless innings en route to earning the win. March 27, 2019 RHP Corbin Martin assigned to Round Rock Express from Corpus Christi Hooks. 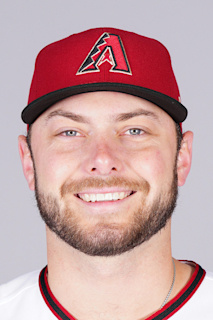 January 22, 2019 Houston Astros invited non-roster RHP Corbin Martin to spring training. May 1, 2018 RHP Corbin Martin assigned to Corpus Christi Hooks from Buies Creek Astros. March 30, 2018 RHP Corbin Martin assigned to Buies Creek Astros from Tri-City ValleyCats. July 21, 2017 RHP Corbin Martin assigned to Tri-City ValleyCats from GCL Astros. July 8, 2017 RHP Corbin Martin assigned to GCL Astros. June 28, 2017 Houston Astros signed RHP Corbin Martin.